Angel Quintero is not eligible to vote, but she is deeply involved in this year’s election. Angela is a 22-year-old immigrant from Mexico who has twice been granted protection from deportation under the Obama administration’s Deferred Action for Childhood Arrivals (DACA) program. She is the regional coordinator for Riverside County, California for Mi Familia Vota, an organization that promotes voting among Latinos. Angela hopes Congress will pass comprehensive immigration reform that will include a path to citizenship for herself and millions of others. Her immediate fear is what will happen to DACA in the next administration. Angel’s story is the first, in a series of profiles of young immigrants from across the U.S discussing their perspectives on the 2016 election. Why did you want to get involved with Mi Familia Vota? Getting involved with Mi Familia Vota was an opportunity for me to motivate my home town to take action. To get them aware and educated about the actions that can be taken to get us out of this hole. Hole meaning poverty, negligence, low expectation from our people. I took Mi Familia Vota as an opportunity to build new powers and educate the community on how we can create change in the community through voting in city and state elections as well as the national level. What are some of the most pressing issues for immigrant youth in your community? Currently I would say we are most stressed about the possibility that DACA could be terminated depending on the next president. This would not only take our privileges away, but also put us at risk of deportation. There is also the issue of our parents who do not have any protection or privileges whatsoever. What was your life like before you received DACA? Before DACA it was very obscure. I was never sure what would happen in the future. I would always be policing myself, always taking caution with everything. Even something like jaywalking was like the scariest thing. I made sure that I did everything right and excelled in everything that I could, so that if some opportunity came up in the future I could be eligible. School was always a priority for me because I knew that it would be more difficult for me than any other average student. So I always pushed hard. 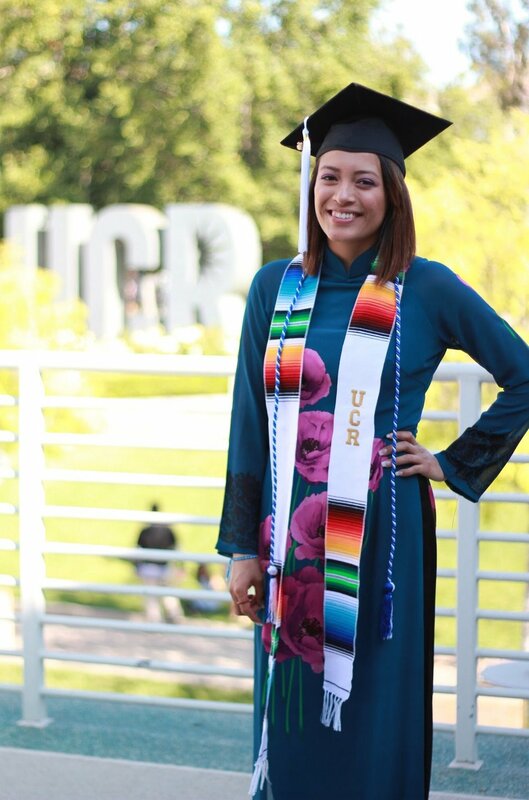 How has DACA changed your life? Well, it’s given me a lot of hope. Definitely a lot more confidence knowing that I will be safe, that I’ll be safe at least until every time that I renew it. It’s knowing that I can have a good career without having to struggle and to go to the university that I want to go to. And being able to drive- I was the first one in my family to get a driver’s license. I have that responsibility. You know, whenever we need to go anywhere I would be the one to drive. I mean it’s just a different sense of security for myself and for my family still. It’s kind of simple right now. For example, the DACA and Expanded DACA programs are frozen and the next president will really have a say about whether that can be passed again, or if it will be completely dismissed. And maybe in the same sense, hopefully now my DACA doesn’t become involved in that. I don’t know… I really don’t know. I get pretty annoyed. And, you know, that response is very very typical. You hear it all the time. But I always try to explain the options because it’s personal to me. It’s personal who wins next. Everybody’s saying they’re not even interested in voting because they would be “picking the best of two evils.” Really the ones that are usually interested are the ones that have undocumented families, whether it be the Latino or Asian communities, if their cousins or their parents are undocumented, but they were born here. How do you encourage them to vote? I tell them you are not just voting for yourself, you’re voting for a lot of people. Even if you don’t want to vote for the president all these things are going to affect you. And then of course I always mention to them DAPA and DACA and then my situation and ask them to take that into consideration — say to them you’re voting for people who are behind the shadows and can’t vote. Sometimes I get sympathy and then they’ll register to vote. I always tell them to rethink the election in terms of local elections as well because all they think about is Trump and Clinton. I mean obviously to me, you know, whoever wins the presidency matters, but at least in California we have some propositions on the ballot that are going to affect us directly and more quickly. Like a tax on high income earners that will subsidize public education K through 12 and community colleges. There’s also a tax on tobacco that will fund health care services for low-income communities. We get very mixed responses from those, obviously, whether they smoke or not. The disinterest in voting comes from a lack of knowledge. Once I tell them, they’re very interested. They’ll even write it down to make sure they research it. It really gets them to register. Do you ever think about what your life would have been like without DACA? I have never really given it too much thought because I don’t want to. I probably wouldn’t even be finished with school if I didn’t have DACA. I really don’t know where I’d be. I know that I would be struggling, it’d be a very different situation.